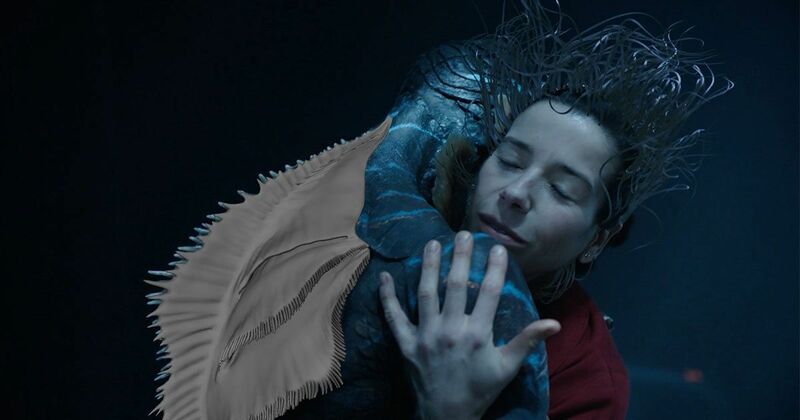 In Guillermo Del Toro’s hugely enjoyable fable, a mute cleaner falls in love with a sea creature. From the opening scene of The Shape of Water, director Guillermo Del Toro establishes the mood and rhythm of his fantasy love story. A camera moves around a submerged room with floating furniture and billowing fabric, focussing on a sleeping woman. As she awakens from her slumber, the room returns to dry normalcy. A voiceover prepares us for the tale about to unfold. This is Elisa (Sally Hawkins), a mute woman who loves boiled eggs, lives by routine and works as a cleaner at a high security facility. She also dotes on her neighbour, Giles (Richard Jenkins). An incisive soundtrack and equally sharp editing have you tap-dancing from Elisa’s apartment into Giles’s home next door, both apartments above a scantly occupied cinema hall. Elisa and her middle-aged artist neighbour enjoy black-and-white musicals of the era and share all confidences. We are deep in the Cold War era, with tensions between America and Russia at its peak. It’s a time of spies, space exploration and mistrust. A high value asset is brought into the subterranean facility and kept in a secure tank. Elisa and her workmate Zelda (Octavia Spencer) are given special clearance to clean around the tank. This amphibious half man and half scaly sea creature (Doug Jones) captured from the Amazon fascinates Elisa. They develop a charming connection and an unexpected love. But the man in charge of the asset is far from sympathetic, or in awe. Strickland (Michael Shannon) wants to dominate the creature and show him who is master. Shannon revels in his role as the enforcer who’s also perverse and entitled. The marginalised – Elisa, Giles, Zelda and a sympathetic scientist, Hoffstetler (Michael Stuhlbarg) – gravitate to one another, coalesce and collude. Del Toro has admitted that the 1954 film Creature from the Black Lagoon spawned his inter-species love story. The film is also a spin on the Beauty and the Beast fairy tale. Despite the predictable storyline and genre elements, the delicately designed space allows lust to roam freely, the performances are winsome and the characters enticing enough to each merit their own origin story. Richard Jenkins is remarkable as the artist with a forbidden love story. Shannon is so mean you want to jab him with his cattle prod. Doug Jones moves easily in the creature suit (the camera movements brings added gracefulness to the characters). Sally Hawkins glides through it all, using the tool of sign language sparingly and yet revealing the depth of what she feels with gestures and expressions. Del Toro creates a beautifully imagined world, rich in colours and characters, with touches of humour and social commentary, to tell a sweet love story that spotlights the most humane and inhuman qualities. The background music by Alexandre Desplat, the homage to black and white movies and the production design fuse with the loving detailing in this fable-like romance.